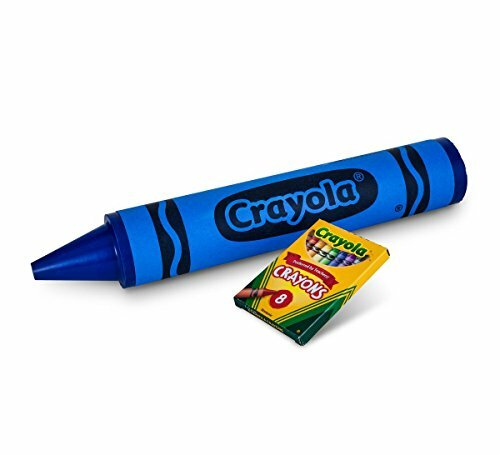 Now you can get a classic Crayola crayon in a giant size! Discover BIG color with this authentic, limited edition Giant Crayola Crayon! Each Giant Crayon is roughly equal in weight to 163 standard Crayola crayons. Giant Crayons are carefully crafted by our expert "crayonologists" with the same formula used to make their smaller crayon cousins. We put the same love and care into creating this big crayon as we have with all of our crayons for more than 110 years! So go ahead, dream BIG and color on...and on...and on! *Pack of 8 count crayons, shown for size purposes only, not included in purchase!